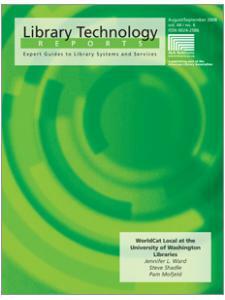 Opening Up Library Systems through Web Services and SOA: Hype, or Reality? Featured in the January 2010 Computers in Libraries "Books to Check Out" column by Deborah Poulson. 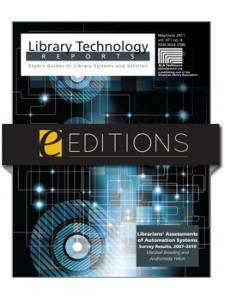 Libraries are increasingly demanding the ability to exploit their library systems (LIS) using application programming interfaces (APIs), Web services, or other technologies. 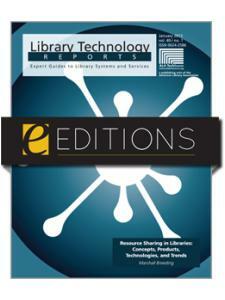 This issue of Library Technology Reports explores how vendors of open source library technology are approaching this desire for customization plus an in-depth exploration of trends towards APIs, Web services, and the service-oriented architecture. Why Should Libraries Care about Application Programming Interfaces? Marshall Breeding is an independent consultant, speaker, and author. He is the creator and editor of Library Technology Guides (https://librarytechnology.org) and the Libraries.org online directory of libraries. He is the editor for Smart Libraries Newsletter, published by ALA TechSource, and has authored the annual Library Systems Report, published in American Libraries since 2014. He has also edited and authored several books, articles, and book chapters; was formerly the director for innovative technology and research for the Vanderbilt University Library; and regularly teaches workshops and gives presentations both throughout the United States and internationally at library conferences.